Each member or player will have to choose its size. Find below the exact measures of our training jacket and pants. To compare, get some of your own and compare the measures. 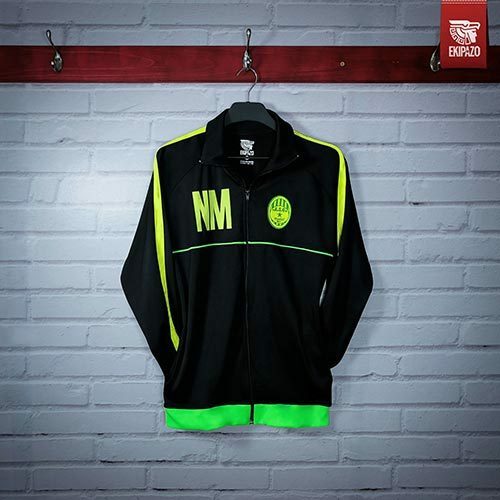 What material do you use to manufacture the training jacket and pants ? We use a polyester called polystrech. 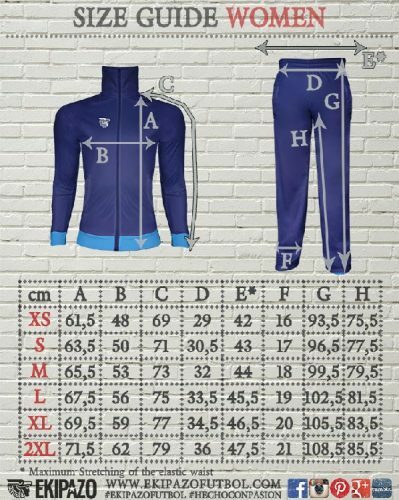 Soft and confortable, the jackets + pants weighs 1 kilogramme. How do your training equipment fit ? 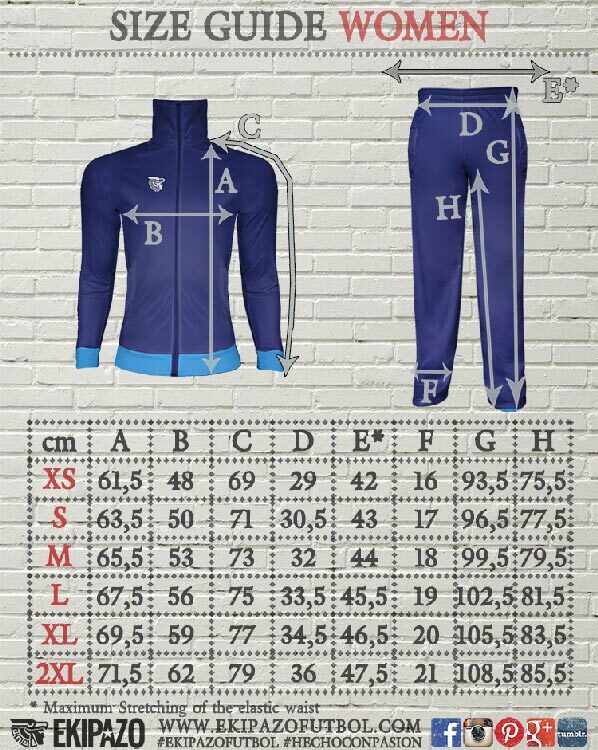 Our cut are modern, the easiest is to click on the previous tab to check our cut and have the measures of our training wear products. Does your female training wear have a special cut for women ? 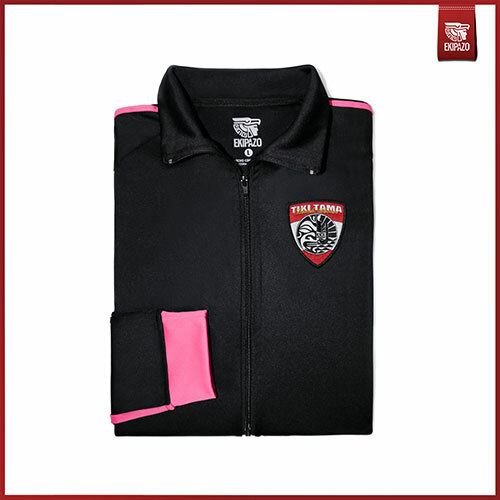 Yes, we made a special fit cut for women football training. Because we believe the future of football is made by women. Can I come and get my customized training in your office ? We have a warehouse in Paris (France) and Lima (Peru). You are very welcomed. Call us on skype or email us to tell us when you can come get your training equipment. What are the delivery delay ? Depends on your location, but count not less than 3 weeks. While filling your quote, specify your location and you will get a delivery delay approximative date once your order is confirmed. I live in America, Africa, Asia…can I order ? Yes, we deliver worldwide with DHL or UPS. Following your country, you may have to pay import taxes. Can we choose different size for each player ? 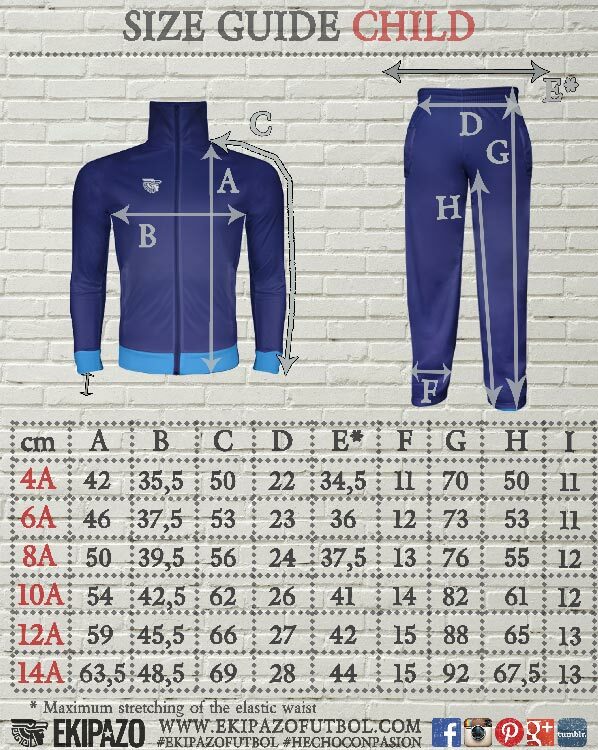 Yes, once the order is confirmed, you will be emailed a document to fill with jacket and pants number, size, name and other informations related to each player.